With a staff of over 10 highly qualified service technicians located all across the U.S., Ship & Shore Environmental can meet all your oxidizer needs in a timely manner. To support the increase in oxidizer maintenance requests, Ship & Shore has expanded our service team to include several highly-trained technicians located in various parts of the US, Canada, and abroad. For any oxidizer services, contact our team Monday – Friday from 8:00am – 5:00pm PST at (562) 997-0233 or service@shipandshore.com. Our service team consists of individuals highly familiar with all brands of oxidizers & have years of experience from multiple oxidizer manufacturing facilities. Let our team help you optimize oxidizer performance and increase equipment longevity by providing quality aftermarket services and preventive maintenance inspections. Typical PM Inspections includes: external and internal inspection, electrical panel integrity, controls, motorized linkages, inspect blower fan, written report documenting observations and recommendations, and many other services. 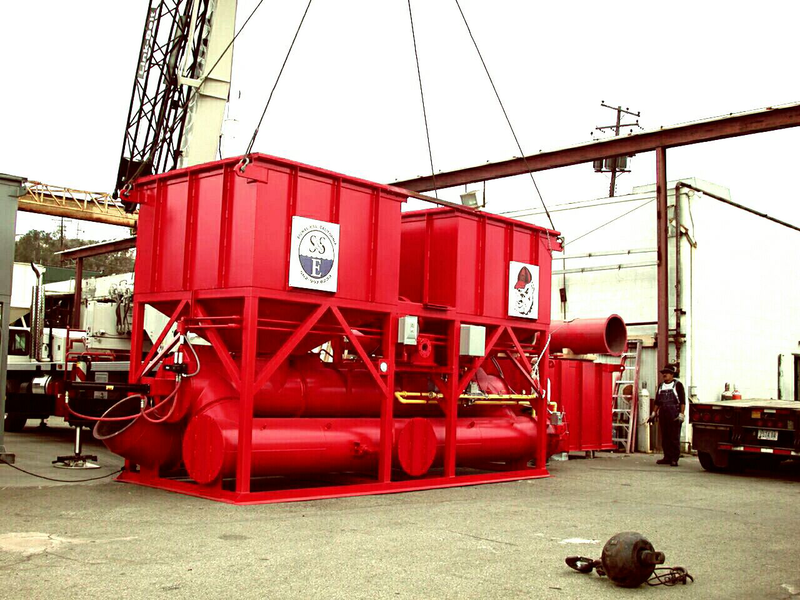 The Ship & Shore Service Team is able to address any concerns you may have with your oxidizer, including catalytic oxidizers, regenerative thermal oxidizers, flares, and other types of equipment. It is our goal to provide you with the best service support possible. Our team is here to assist you when questions or concerns arise.